Quick tip – Honey, Breathe. Hey friends! Man, it has been a while. I have had quite a bit going on but I’ll save that for another post. For today I wanted to just leave you with a quick little tip for this winter season. If you start to feel something coming or, or better yet, you want to stop it before it does. This is a sweet way to give your body the support it needs! 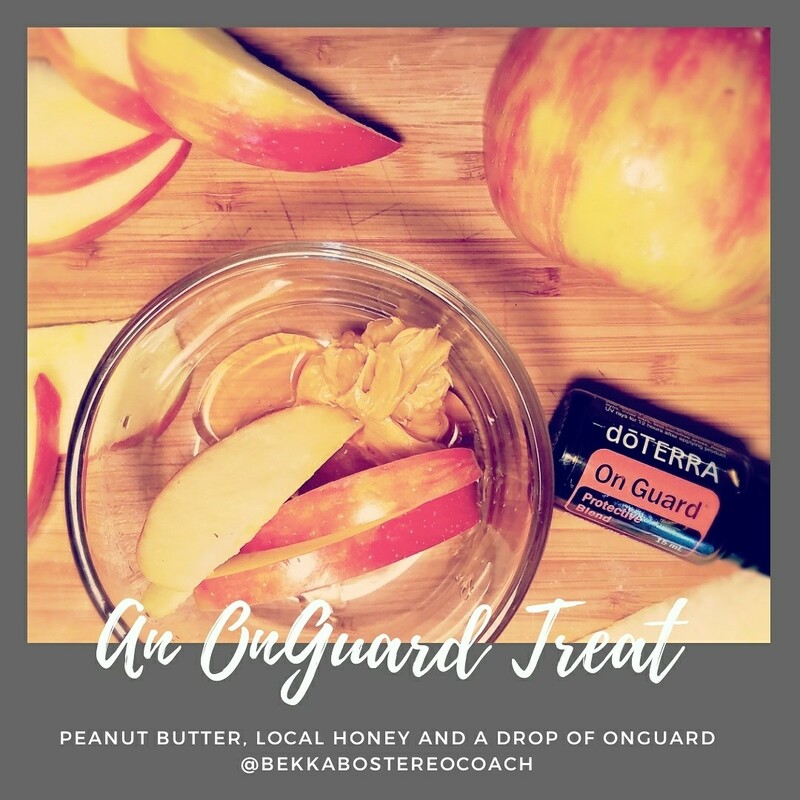 Add a drop of On Guard to some peanut butter and honey and enjoyn with your favorite apple! It couldn’t get any easier than that!